The build-up has been excellent for Survivor Series 2017 as WWE have created an interesting card that has shifted and grown over the last four or five weeks of television. 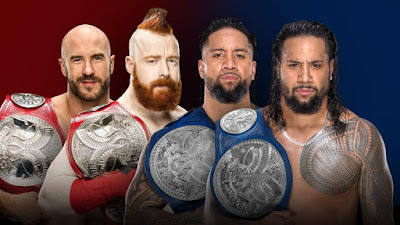 What we have ready for tonight is varied line-up, full of matches that people actually want to see and whether they care about the RAW vs. SmackDown element is kind of irrelevant at this point. Let's take a look down the show and see what WWE has in store for us! It seemed to me like WWE changed it's plans for this match at the very last minute, having AJ Styles win the WWE Championship from Jinder Mahal on SmackDown two weeks ago. Seeing as AJ was originally announced for another match on that show and that WWE had to downscale their plans for events in India, it would appear that the Jinder Mahal experiment had well and truly failed and WWE decided to give fans a match that they actually wanted to see. This first time clash has really captured the imagination since it slotted into place, being different to anything Brock Lesnar has been involved in for quite a while, with Styles offering a much changed opponent from a Braun Strowman or Samoa Joe. 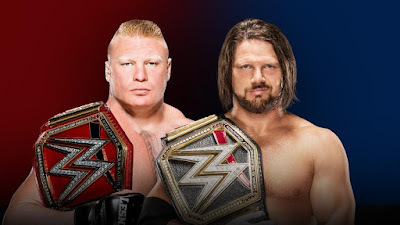 I'm hoping that this bout falls more into the vein of Lesnar's clash with CM Punk at SummerSlam 2013, than drab work with Dean Ambrose, as if Styles is positioned as the plucky underdog, looking to outlast and outpace the Beast Incarnate then we could have fascinating contest on our hands. 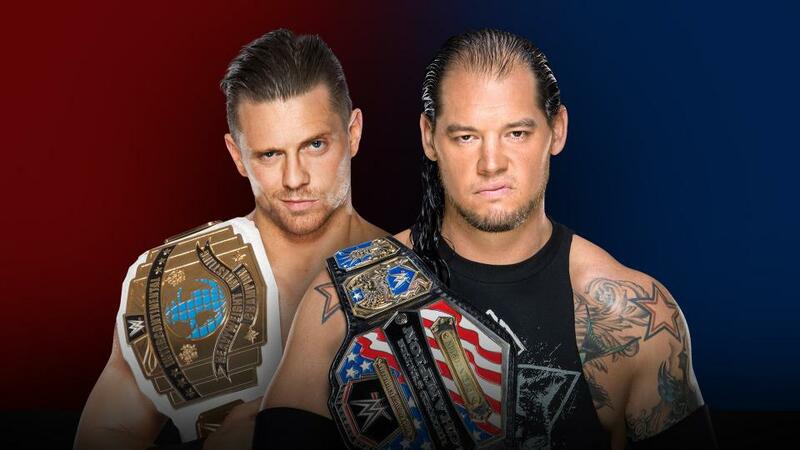 Another interestingly poised match with the potential to tell a lot of interesting stories and begin some new ones for the Road to WrestleMania. 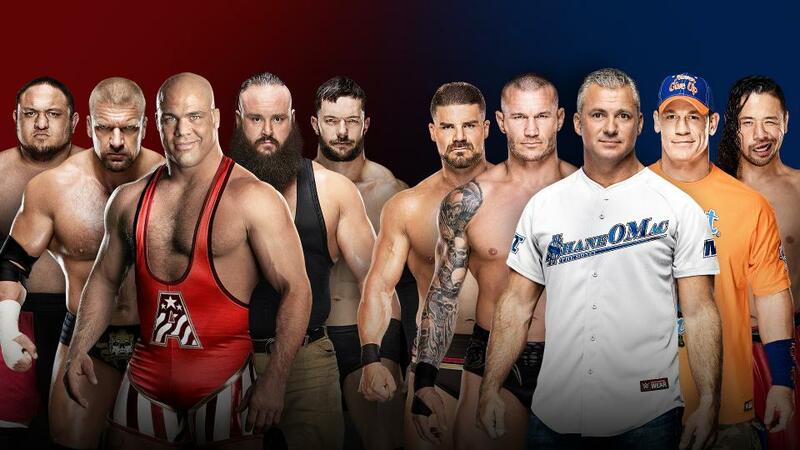 I'm not sure how many people are massively into the RAW vs. SmackDown gimmick, but both sides have assembled to intriguing looking line-ups to represent their brands. Firstly, the fact that the average age of the match is 40 and a half is a little worrying, whilst having four guys who don't regularly wrestle should also raised questions. However it does mean that we now have mix of big name talent from the past, that could potentially draw in lapsed or casual fans, while also having enough talent in the mix that can really go when called upon, especially in this sort of environment. I feel like the match with be used to further the push of Braun Strowman, as this is the type of situation where he can really shine. A great performance here, valiantly fighting as the last member of his, followed by an impressive outing at the Royal Rumble and the Monster Amongst Men is pretty much made as the companies new monster babyface. I'm expecting we see Jason Jordan arrive to cause problems for his Dad at one point, as well as perhaps an appearance from Kevin Owens and Sami Zayn. This is a match that I'm really looking forward to, because there doesn't seem to be a whole lot that could potentially stop it from being a great match. These two teams have been on fire in 2017 as Cesaro & Sheamus had classics with The Hardy Boyz and Dean Ambrose & Seth Rollins on RAW, whilst The Usos tore it up with American Alpha and The New Day on SmackDown. You have the big bruising brawling Europeans against the exciting fast-paced Urban Usos, it's pretty much a recipe for success. Give these boys fifteen minutes, sit back and watch the magic happen. This match has a lot to live up to in my head! WWE's two most successful groups of the last five years going head to head, this should be fire, fire, snake, fire. If The Shield rediscover the frenzy that made their 2012-2014 run so exciting to watch, then this will should be brilliant. We know what The New Day are currently capable of, they've been tearing it up for the last few years and have just recently come into some real form when it comes to creating thrilling tag team wrestling. They don't often wrestle as a trio however, so I'm looking forward to seeing what they've got in the bag when they're all in the ring together. 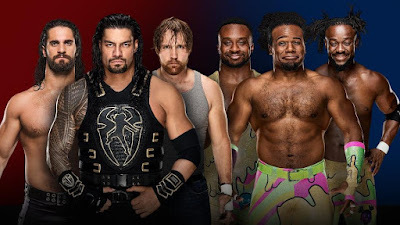 With these six guys, I'm expecting lots of innovative highspots, a strong story and a potential breakout performance from Big E. Will there be a storyline twist or a turn, quite possibly, but I'm hoping we just get a straight-up war between two groups that have made the last five years of WWE television watchable. As the final match to fall into place for the show, as Charlotte Flair won the SmackDown Women's Championship on Tuesday night, there has been very little build to this bout. In a way that's a shame, because these are the two best female talkers in WWE, but in another way, it doesn't really need a whole lot of build. It's the Goddess vs. The Queen. Both switched brands this year, after spending months a top the opposite show and now they're finally going to throw down. They've only clash once before over three years ago on NXT, so who knows how this will play out! I'm still waiting for Alexa Bliss to have a breakout match that really impresses me and there's potential that Flair could lead her to that here. 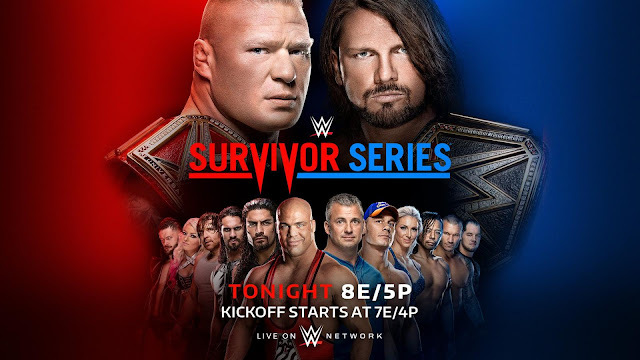 Survivor Series matches have the potential to tell stories that other matches don't, as well as raise the stock of certain performers within them. Therefore I'm looking forward to seeing how WWE handle performers like Asuka and Nia Jax here, as they would be the obvious choice for monster pushes during this match and would have the most to gain from having a great performance. The RAW team in general is the most intriguing to me, with a number of moving parts that could have an impact on the quality of the match. There surely has to be something go down between Bayley and Sasha Banks. It's been teased for months and months, with their best friends relationship being hammered hard on television, surely now is the time to split up the pair and give them a killer programme heading towards WrestleMania? There's enough talent here to make a varied contest that with the right booking should create a good to very good match. This is the only match on the main card that doesn't do anything for me. To be fair to The Miz, he's done some pretty good work trying to build some interest for this feud, becoming it's defacto babyface, but he's also had to continue programmes with The Shield and Kurt Angle on RAW at the same time, whilst Baron Corbin has been fannying around with Sin Cara on SmackDown. Heel vs. Heel matches are difficult to do and these guys are both proper heels when in the ring, there's very little that excites me about seeing them wrestle each other. Miz is capable of good matches when competing against exciting and over babyfaces and Baron Corbin has yet to have an above average singles match even when competing regularly against Sami Zayn and AJ Styles. I don't think this will be a bad match, but neither do I think it will be anything above a match that just happens. The only title match of the evening comes on the Kick-Off show as we get a rematch of the weakest match from October's TLC PPV. After the weird conclusion to 205 Live this week, I'm not looking forward to this as it's clear the company is unsure what it is trying to do with the Cruiserweight division and what it's target audience is for that show. Enzo's strongest work since joining the division has been on the microphone and in getting eyes on the product, yet his in-ring work has continued to be sub-par. 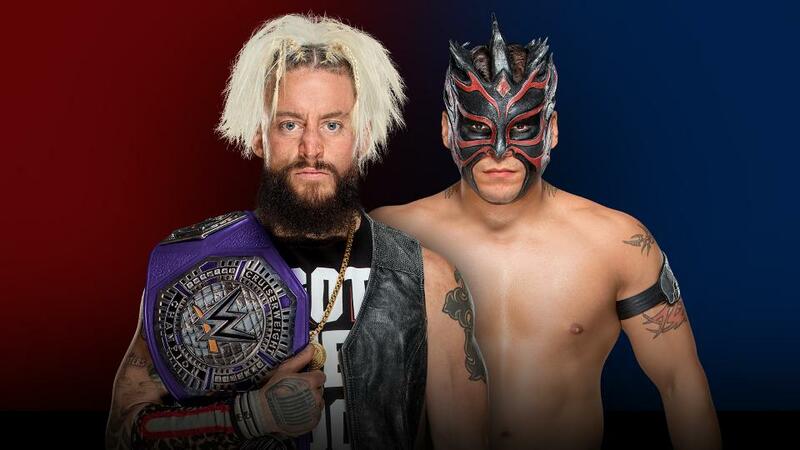 Kalisto is also yet to capture the form that originally caught WWE's eye in places like EVOLVE and PWG, within the company itself and I don't see that starting here. Well that's that. Enjoy the show and see you tomorrow for our review!